Sense & Sensibility of Pride & Prejudice? Tell me why in the comments! 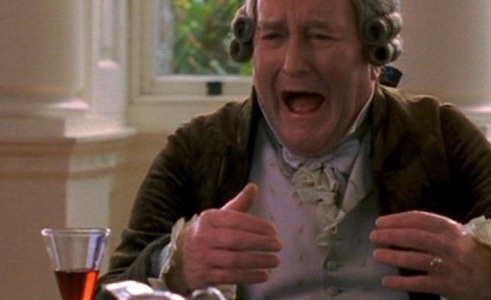 Sense and Sensibily (1995) has a 95% average critic ranking on Rotten Tomatoes. Do u agree with this? Did u like the movie enough to see it again? My favoriete Marianne's dress vs my favoriete Elinor's dress in the 1995 adaptation: u prefer ... ? Where to watch S&S online? Will u kom bij the Dan Stevens (Edward Ferrars 2008) spot? "SHIFTING HEIRS AND THE FERRARS ESTATE"
I have been a fan of Jane Austen's 1811 novel, "Sense and Sensibility" ever since I saw Ang Lee's 1995 adaptation. In fact, the 1995 movie initiated my appreciation of Austen's novel and other works. But there is a certain aspect of Austen's tale that has confused me for years. And it has to do with Edward and Robert Ferrars and their family's fortune. Jane Austen's 1811 novel, "Sense and Sensibility" has been a favoriete with her modern-day fans. The novel has produced at least three televisie and two movie adaptations and a literary parody. However, this review is about the seven-part, 1981 BBC adaptation. For some reason, I still find it hard to believe that until recently, very few people were aware that the first adaptation of Jane Austen's 1811 novel, "Sense and Sensibility", dated as far back as 1971. After all, people have been aware of other Austen adaptations during this same period of earlier. Even the Wikipedia site fails to mention it, except in connection with one of the cast members. What was about this four-part miniseries that eluded so many Austen fans? The jaar 2008 marked the fourth adaptation of Jane Austen’s 1811 novel, "Sense and Sensibility". First aired on the BBC, this three-part miniseries had been adapted door Andrew Davies and directed door John Alexander. I believe that Jane Austen was way ahead of her time in a literary sense when writing her novels, especially "Sense and Sensibility." After reading the book and seeing the movie a billion times I have had plenty of opportunities to study and analyze (yes, I'm an analyzer) Elinor, Marianne, and their suitors. a comment was made to the poll: Marianne of Elinor? Who's your favoriete sister? a comment was made to the poll: Does Marianne deserve Colonel Brandon? a comment was made to the poll: I know it's hard but...who do u prefer? when u see the film, whom u remember? a relative? a friend? Brandon, Edward, of Willoughby - who would u pick and why?